In a January, 2015 interview in GQ magazine, basketball superstar Kevin Durant talked about his personal spiritual transformation after learning about God’s love from Pastor Carl Lentz. Unfortunately, for many professing Christians today, that’s exactly what they mean, and they have forgotten the words of Jesus who said, “If you love me, you will keep my commandments,” and, “Whoever has my commandments and keeps them, he it is who loves me,” and, “If you keep my commandments, you will abide in my love, just as I have kept my Father's commandments and abide in his love” (Jn. 14:15, 21a; 15:10). His commandments include living holy lives (see, for example the Sermon on the Mount in Matthew 5-7) as well as loving one another as he loved us – lofty goals, for sure, but things we are called to, nonetheless. His grace not only forgives us; it empowers us. This is the consistent testimony of the New Testament: “And by this we know that we have come to know him, if we keep his commandments. Whoever says ‘I know him’ but does not keep his commandments is a liar, and the truth is not in him. . . . By this we know that we love the children of God, when we love God and obey his commandments. For this is the love of God, that we keep his commandments. And his commandments are not burdensome” (1 John 5:2-3). To quote Jesus again, “"Not everyone who says to me, ‘Lord, Lord,’ will enter the kingdom of heaven, but the one who does the will of my Father who is in heaven” (Matt. 7:21). This does not mean that we are saved by the merit of our good works. Instead, it means that those who are truly saved – those who truly know the Lord; those who are true Christians – are transformed by God and no longer live the way they used to live. And if they profess to be followers of Jesus and offer no evidence of a changed life, their profession of faith is questionable. In the late 1950’s Mickey Cohen, a notorious gangster, attended a Billy Graham meeting in Beverly Hills. Cohen rebuked his friend, saying to him: “‘You did not tell me that I would have to give up my work,’ meaning his rackets; ‘You did not tell me that I would have to give up my friends,’ meaning his gangster associates. Exactly! We offer a motivational, pep-talk, feel-good, self-help, personal-empowerment Jesus rather than the Jesus of the Scriptures, and in doing so, we damn our hearers rather than deliver them. Again, I sincerely hope that Kevin Durant is a true Christian and that his life has been transformed by the gospel. But I’m deeply concerned that tens of millions of Americans have heard a superficial message that bypasses the cross and that calls for no repentance and requires no change of life. 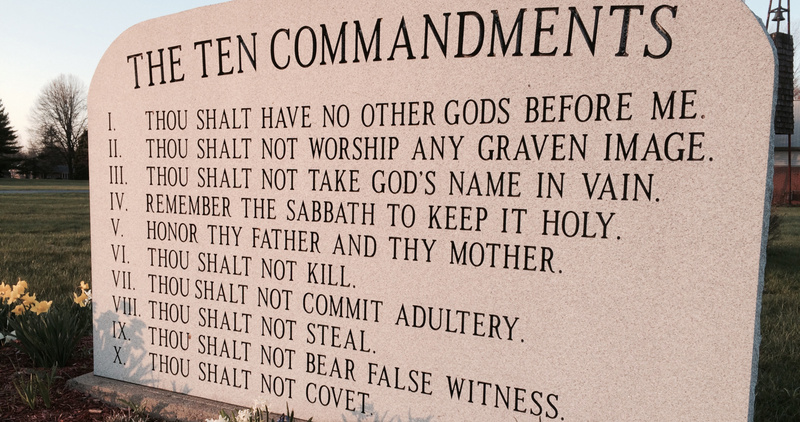 It is a message that denigrates God’s commandments – as if they were somehow inherently burdensome and wrong – rather than teaches that those who have been “born anew” through faith in Jesus will have those very commandments written on their hearts. And they will demonstrate their love for their Savior by doing what he says. If we don’t, he is not our Lord. Most Christians do not obey his commandments at least the one to keep the Sabbath holy. They seem to ignore that one. This Pastor Carl Lentz follows the some Bible, but NOT the True Bible (Tanakh - OT and Brit Hadasha - NT). If you follow like him, it's better, it's more honest, not follow!!! I agree wholeheartedly. I do not anymore personally see a need to worship or follow any god, having been a devout christian for eleven or so years, but i do agree that most evangelists had numbers of converts as evidence of their success, maybe to attract money; thus delivering a wrong message. You are biblically, and heartfully correct, right on. But there are also other scriptures that differ, but that is another contradiction of the bible, and i believe that what you just stated what is the god I would agree with would declare.